It’s starting to get cold now that we’ve reached November. If the home is not properly insulated, then not only does heat escape, but it also drives the heating costs up to stay warm. Some areas, even in sunny California, can form icy roads during the colder days and pose danger to all drivers, especially to the older drivers. Staying active is important during the winter months. 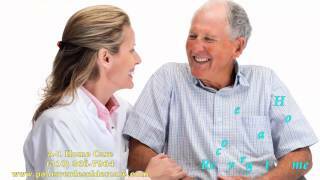 It helps to keep seniors fit, get their blood flowing, keep warm and stay healthy. If it is too cold to exercise outdoor, try arranging some space at home to exercise at home. 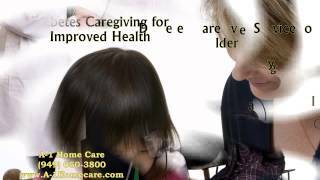 Caregivers from A-1 Home Care in Downey will make sure your elderly loved ones are safe when they are on the job. We make sure to be selective when hiring our care providers, requiring at least 2 years of experience, CPR certification, and clean criminal background. 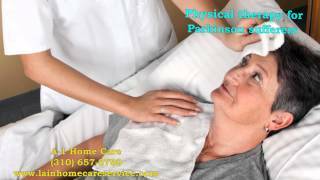 They are experts in Arthritis Care, Diabetic Care, Post Stroke Care, After Surgery Care, Cancer Care, Incontinence Care, Hospice Care, Heart Attack Care, Kidney Disease Care and more. Clients in Downey, Whittier, Pico Rivera, Norwalk, Cerritos, Long Beach, Torrance, Santa Monica, Burbank,Hollywood, Beverly Hills, Pasadena, Covina, Monrovia, and surrounding areas inLos Angeles and Orange County have all enjoyed our services since 1991, so you will surely have a peace of mind when using one of our services. Call 562 929 8400 to inquire about our services. 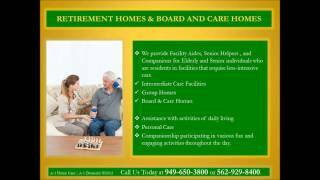 Visit Downey In Home Care for more information! 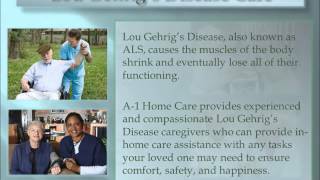 A-1 Domestic Professional Services offers compassionate in-home caregivers for Elderly, Senior, or Terminally Ill individuals suffering from Alzheimer’s Disease. 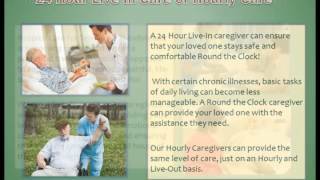 Whether you’re in the early or late stage of the disease, one of our live-in or live-out caregivers, nurse aides, or home health aides can help you get by day to day and assist with a variety of household tasks as well as tasks that aim at keeping your loved one’s mind engaged and stimulated. 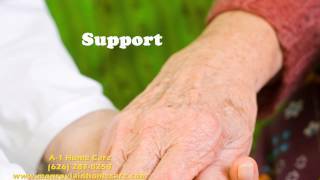 Our caregivers can provide your Alzheimer’s loved one with short-term or long-term care, hourly part-time or full-time. 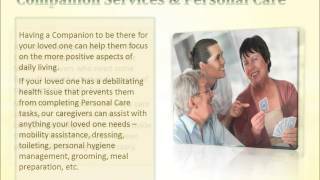 Some tasks we can assist with include in-home or outside transportation, healthy meal preparation, aerobic exercise, reminiscing the past/stimulating conversation, medication reminders, personal hygiene and grooming, and light housekeeping. 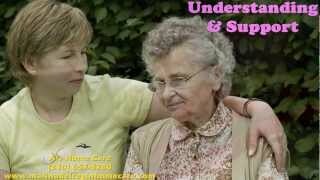 In addition to Alzheimer’s & Dementia Care, we our non-medical caregiver agency offers a range of other services that include After Surgery Care, Arthritis Care, Parkinson Care, Diabetic Care, Cancer Care, Respite Care, Hospice Care, Incontinence Care, Child Care, Special Needs Care, and Postpartum Care. 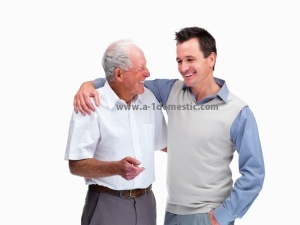 To hire a compatible caregiver from A-1 Domestic today, CALL us at (562) 904-2878. 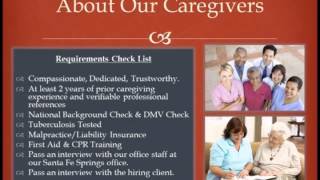 If you or someone you known has professional caregiving experience. we’re always hiring and have immediate job opportunities. If interested, visit us at A-1 Jobs, review our Employment Requirements, and CALL us at (562) 929-8400 to schedule an interview at our Santa Fe Springs office.